Hi, everyone. I’ve got another load of nerdy stuff from my folks’ place. Again, for those of you joining us for the first time, remember to take a look at the first and second parts of this sad saga to get caught up. Backstory: When my wife and I got married and moved to our new place, I left behind a lot of stuff stored away in my parents’ basement. My wife was, for some odd reason, a little hesitant about having her semi-packrat husband bring all that stuff over to her nice, new clean basement. (Un? )Fortunately, my parents want their basement back. So, I’ve managed to sell her on the idea that this can be a fun series of blog posts for you guys and gals to enjoy. Wish me luck. 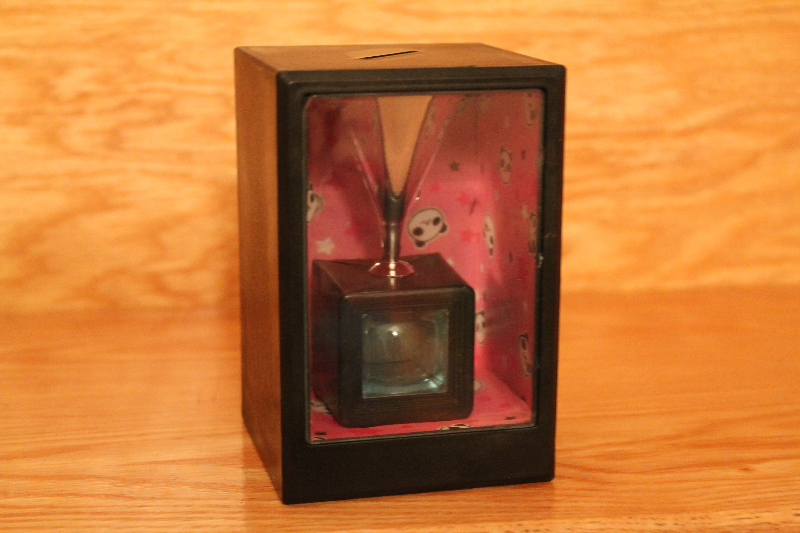 Our first item up for bid (not really, unless you wanna’ make a really generous offer) is a “Magical Money Compressing Coin Bank” straight from that that great bastion of inexpensive foreign goods dealextreme.com. That said, this is actually a pretty fun little toy. You insert a coin into the top of the box, and then you see it drop down and “shrink” using smoke and mirrors (well, maybe not smoke). Here’s a youtube video showing how it works. I used to love show as a kid. Who am I kidding? I still do. 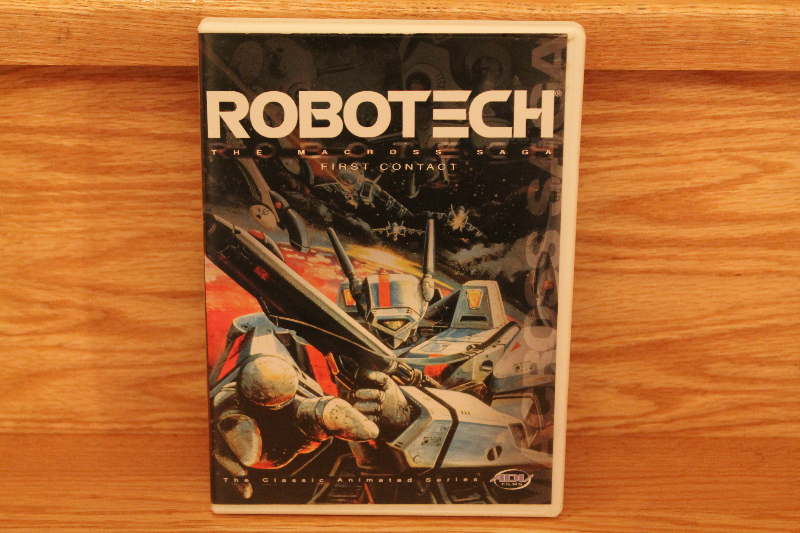 Here we have Volume One of the Robotech animated series, containing episode 1 through 6 of about 86 episodes total (if I remember correctly). Though probably extremely cheesy by today’s standards, I do remember it covering quite a few adult themes. In any case, it’s got fighter jets that can transform into robots. So, enough said. I was introduced to the Gundam universe by my kid sister of all people. Passed by the couch and saw her watching Gundam Wing many years ago, and ended up getting hooked. I mean, hey, it’s got giant robots (including one that turns into a fighter jet). That said, there are about as many different Gundam television shows as there are stars at night apparently, and I have no idea which one this is from. 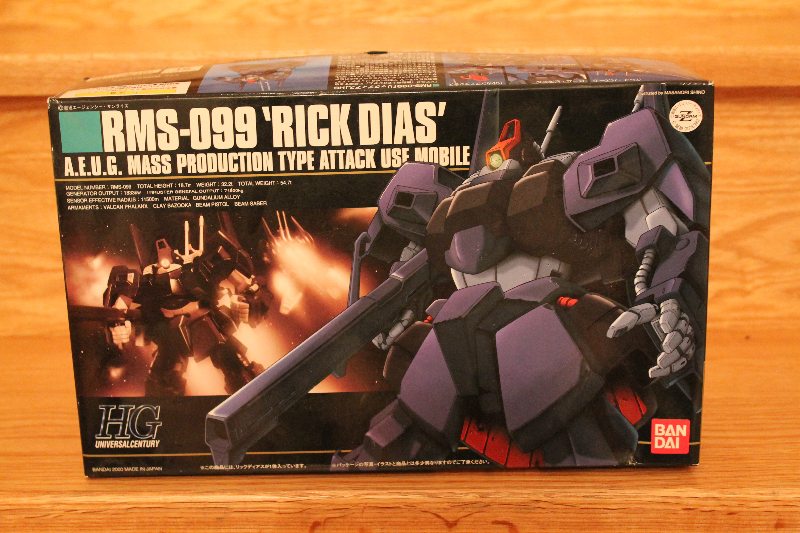 I think I picked up this model kit because I thought the robot looked cool (or because it was cheap, which is another strong possibility). Maybe one day I’ll put this guy together. Starlancer. 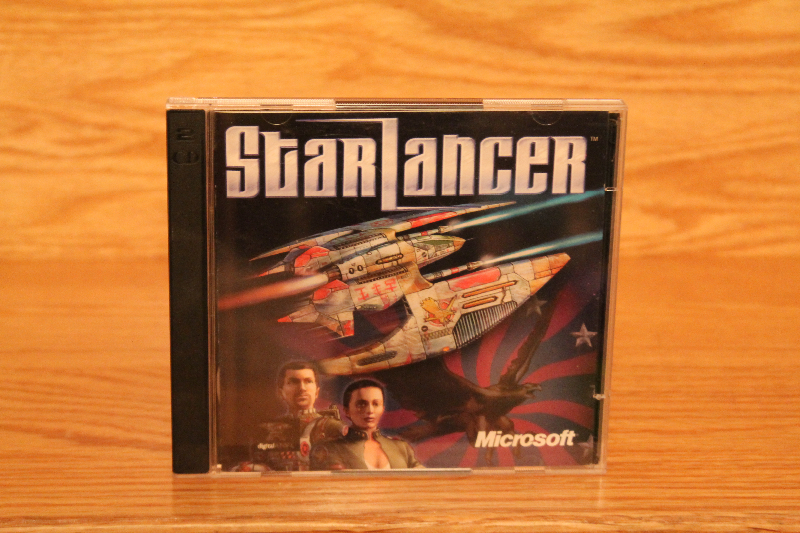 Another space sim. I’d try to offer a review on this, but I’m fairly sure I’d end up confusing it with either Freelancer and/or Tachyon: The Fringe, two other space sims that came out at approximately the same time. They were all fairly good, though. 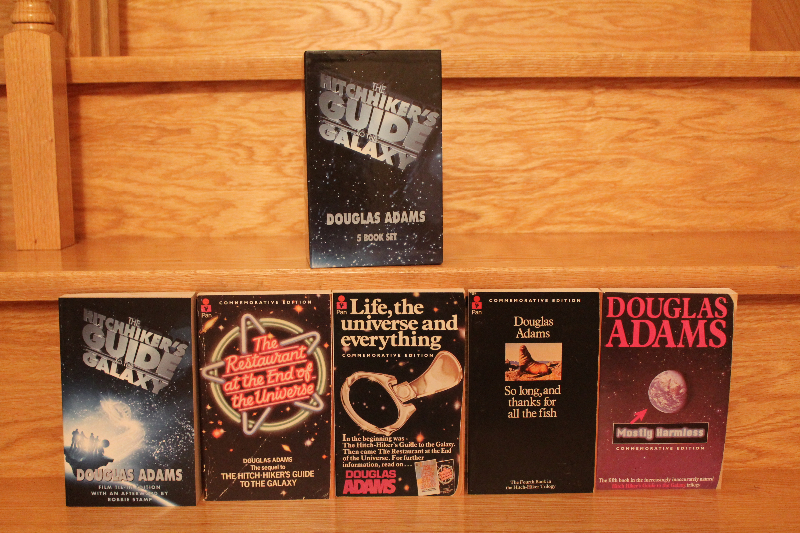 Douglas Adams’ Hitchhiker’s Guide to the Galaxy saga. I’m sure most of you are familiar with this series. For those that aren’t, think Fear and Loathing in Star Trek. Now, before you fire off that vitriol filled email for making that comparison, remember that Douglas Adams would’ve probably found it amusing. 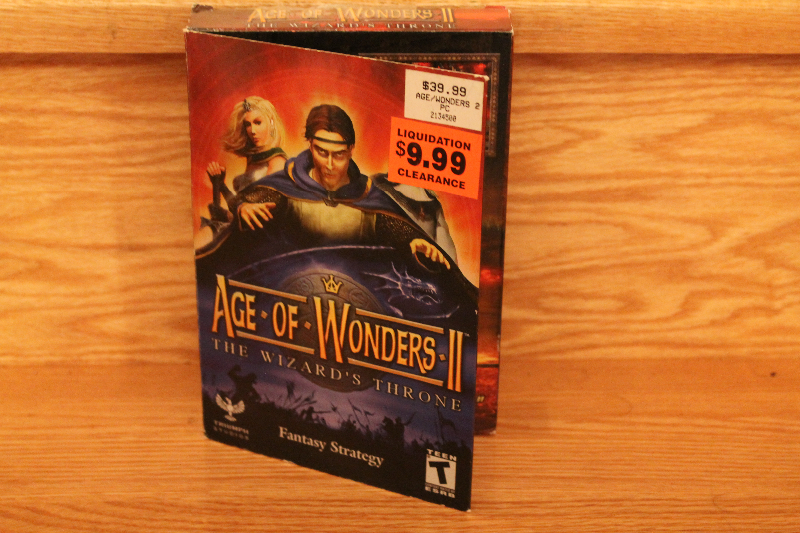 One clearance priced edition of Age of Wonders II. 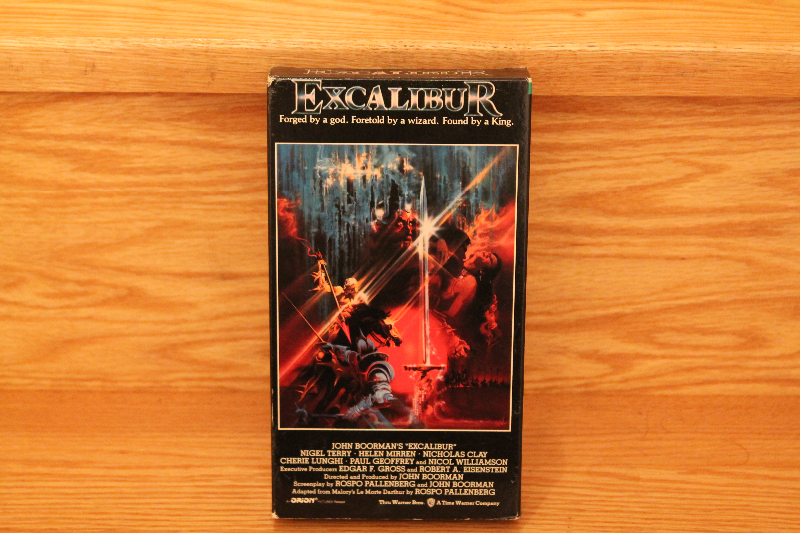 The prequel was actually a very good game, and was a strong competitor to the Heroes of Might and Magic series. This one? Not so good. I don’t remember the exact details offhand, but let me put it this way: that clearance sticker was put on the box less than three months after it came out. The Dune Encyclopedia. The only Dune book not written by Frank Herbert, yet carrying his seal of approval (though, to be absolutely fair, Herbert was dead when those other books were published). Now, there’s really no good reason for me to have this book. Other than fate. Or quite possibly being cheap. I must’ve been in my early teens, when I was visiting a library and happened to peek at the table containing a pile of ‘discard’ books that they were attempting to sell [cheap]. I still don’t know what caught my eye, or what made me buy it, seeing as I had absolutely no idea what Dune was at the time. 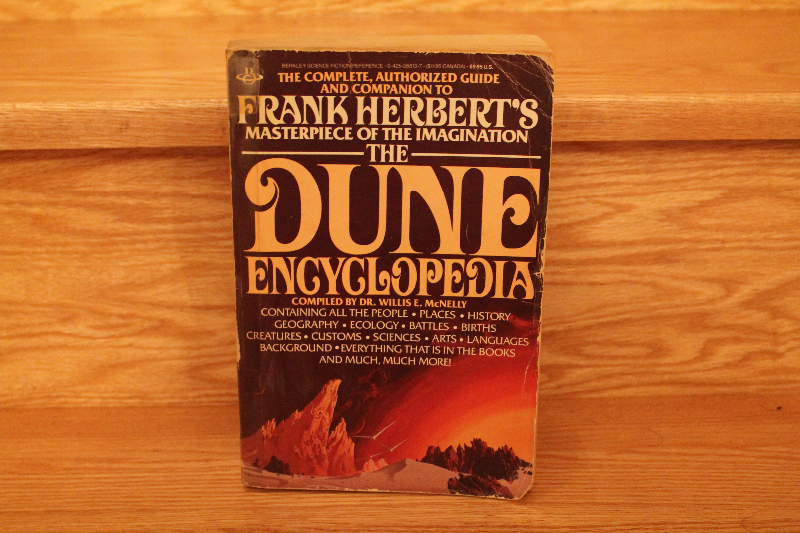 In retrospect, I’m glad I did, as it made a fine collection to my Dune collection when I did discover Frank Herbert’s excellent series many years later. Summary: More stuff (possibly) tomorrow, depending on whether I can sneak it into the house and past the ever watchful eyes of Cerberus. Also, sorry for that comparison, dear – you definitely don’t have three heads. Wife’s Anger Level: Starting to rise a little, once she saw all the “toys”. Let’s see if I can’t wake a sleeping lion with the next load of goodies. Remember, folks, I’m doing this for you. Now, time for some shut eye. Catch you later, everyone. basement stuff, off topic, silly stuff. Bookmark.